Seer sucker suits are one of the best options to choose for summer casual looks that will still require you to be in a suit. 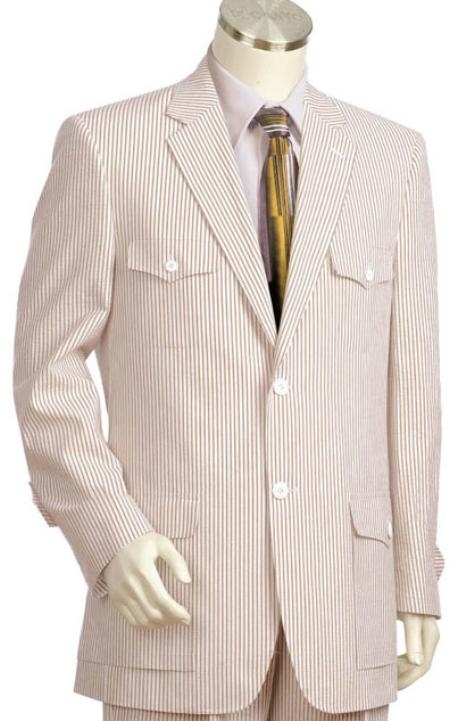 Enjoy wearing this full cotton fabric suit as it is a great choice for hot summer days. The first few things that comes in your mind while thinking about summer is sun, beach parties, holiday, colorful garments an casual clothing that let yourself go loose from the normal day to day life. It does not mean that summer is just for parties, you may go on for a business meet to any tropical country and might find it difficult to wear something that goes with the climate as well as you work. Seer sucker suits are just great for any kind of meetings and business gatherings that happen in a casual mood. This simple fabric is today's most wanted fabric types as it has gained a lot of importance down the time line. During early days this fabric was used by the poor working class people and was their boon as it was quite tough, good on the skin and can be as comfortable as possible. Apart from all the above factors, seersuckers were very cheap and that is one of the important reasons for which they were worn by poor people. In today's condition, we are able to see high class men wearing this fabric with style as they are made into perfect looking mens suit varieties. 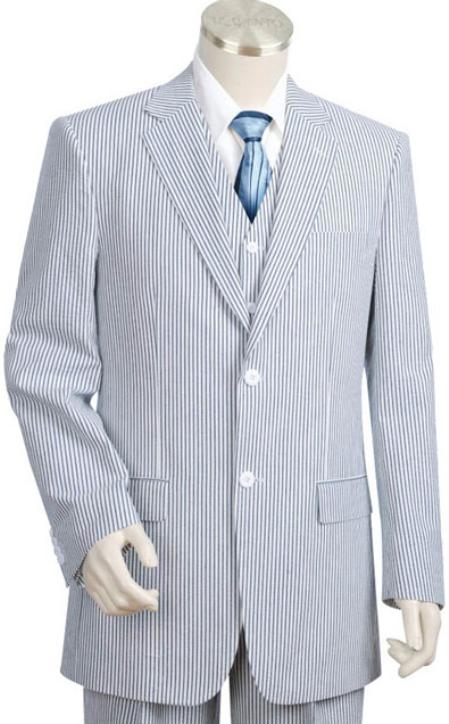 Designers have made these cheap fabrics into one of the most costly varieties of mens suits. Another interesting advantage of these suits made out of seer sucker is that they are very comfortable to wear during sultry days due to their special texture. The special regular wavy texture of the fabric is made by the weaving technique by which it is manufactured through.